Our Freunthal spindle repair processes are the best in the business. We have state-of-the-art in-house resources and trained technicians, so that your repaired spindle will be better than new when we ship it back to you. 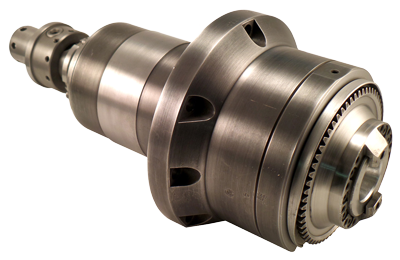 More importantly, we have full access to parts as well as complete manufacturing capabilities that allows us to repair your machine tool spindle properly the very first time. GTI Spindle is the company for your Freunthal spindle service and repair needs. We recommend spindle design changes or enhancements to improve Freunthal spindle longevity and/or performance. For example, if a spindle has failed due to contamination, a design change such as new labyrinth nuts, air purging, hybrid bearings, or improved sealing design will be recommended and implemented. Post planning of Freunthal spindle repair corrective actions, rebuilding as well as preventative maintenance work advice is given which needs to be taken care of before installing the spindle back into the machine. Freunthal machine tool spindle post repair are reinstalled and checked for performance and reliability; which can be executed upon customer request by a GTI technician. Detailed documentation of the repair work is provided to all GTI customers. Our Freunthal spindle repair service will give you a spindle that will return to the floor as good as new. We offer one year warranty after every repair and re manufacturing. Call us at 888.473.9675 or you can mail us at info@gtispindle.com for an estimate on time and cost.